The reasons for personal bankruptcy are as multitudinous as the bankruptcies themselves. Individual circumstances are to blame for each person’s inability to pay their debts. There are certain groups of people however, who are at higher risk by dint of their occupation or other financial circumstances. If your employment is potentially precarious, payment protection insurance, can frequently help to smooth over financial difficulties that may arise in the future - but you must make your sure you read the small print on any ppi policy you purchase. 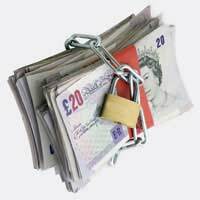 There are a number of different types of payment protection policies. Perhaps most common are those offered by lenders; frequently, creditors will provide their own policies that ensure that minimum payments will be made in the event that the borrower ceases to have any income, for example through an injury that renders them unable to work. There has been considerable controversy surrounding these policies, however, as they are frequently mis-sold. Sometimes, for example, Creditors automatically add ‘credit protection’ to their customers’ monthly repayments, without informing them. Similarly, these policies may well be more expensive than third-party alternatives. The other major type of payment protection is offered by independent insurers. The policy holder makes a monthly payment in exchange for a guarantee that the repayments on their major debts will be met if they lose their own income. This ensures that any mortgage will be met, as well as personal loans and so on. There is likely to be a maximum cap on pay-outs from the insurer; you should obviously check this before agreeing to any policy. These policies are particularly beneficial to those without job security. Many policies will only pay out in the event of an injury or illness that renders the policy holder unable to work, so redundancy would not be covered. You may need to shop around for income or payment protection that covers you against unemployment too. It is important to remember that these policies are frequently full of caveats and conditions. In the first instance, you should be aware that there will almost certainly be a minimum period for which you must remain without income before the insurer will begin to pay out. This ‘deferred period’ could be of any length, although the standard is around four weeks. You should make sure, therefore, that you have a sufficient financial buffer to ensure that you can meet your financial obligations in the interim. Aside from this, many policies will only continue to pay out for a certain period of time, or up to a maximum amount. Generally, those insurers offering cheaper premiums will pay out for a maximum of around five years. While this may seem more than enough for those who are simply out of work, it may well not be sufficient if you have been injured or developed a chronic illness. Payment and income protection insurance, like motor or home insurance, can be complex and it is important that you understand the terms of your policy completely. As such, you may wish to seek independent advice before making a decision.